Nobel Prize winner Daniel Kahneman tells about an experiment done in the 1990’s when two groups of patients were given colonoscopies. One group "finished" when the procedure was completed. The other group stayed a while longer, believing the procedure was continuing when in fact it had ended—so the pain was gone or reduced dramatically. The second group described the procedure afterward as much less painful than the first group did, even though both groups had recorded similar levels of pain during the procedure except for the extra time provided the second group. Kahneman uses this example to explain that we have an "experiencing self" and a "remembering self." From this perspective, what occurs in the final weeks of our classes will have a huge influence on how students feel about—and make future decisions related to—learning, schooling, the subject you are teaching, how they might feel about future teachers (and how they might feel about future male or female teachers, depending on your gender), showing leadership in a class, etc. This time near the end of the year provides us the opportunity to help students finish strong, with a peak or two to remember as well. Here are a few suggestions on things we can do for students and ourselves during the final weeks. • What are three things you can do to help finish the school year strong academically? • What is one thing you can do to help your classmates finish the year strong academically? Field trip—real and/or virtual: A local, or not-so-local, field trip can always be an energizer. Learning activities in the days leading-up to the trip that are specifically related to the trip—followed by reflections afterward—can provide a good week’s worth of engagement. Sometimes a "real" field trip can be challenging logistically and financially. But thanks to Web 2.0 technology, you can now have students create their own virtual field trips. There are many free websites that will let users easily create virtual field trips. Students can use these applications to visit places online, describe them, and show them to their classmates. Read a stimulating book: Finding an intellectually-stimulating book (or article) on teaching and learning might get you excited to try out some new things—even though it’s the end of the year. Watch an intellectually stimulating video on the Web: Watching one of the numerousshort and thought-provoking videos on the Web from sites like TED Talks, The Big Think, Ignite, Big Ideas Fest or Pop!Tech is another option. These videos are free and showcase presentations by people who are doing some of the most "cutting-edge" thinking and working in the world. Though we generally think of the word "end" as a conclusion, we should keep in mind it comes from the Greek word anti, which means "before." While we might think we're concluding the school year, we are really—much more importantly—setting students, and ourselves, up for what comes next. 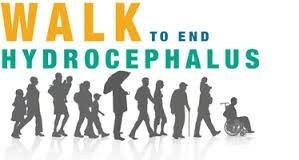 Hydrocephalus Walk is Saturday at 9am at PES! Are you coming? Please plan to stop by to support Emma! Student council has received so much positive feedback and encouragement from so many people so far about this end of the year fundraiser. We are so excited to be helping one of our very own, Emma Caulder. She doesn't want us to announce on the news show that she is a hydrocephalus patient but she is one out of a handful others in our district who is affected by this illness! If you are able to volunteer for the walk in anyway - even if it just for an hour - please let a Student Council sponsor know! 1. In-classroom Bathrooms cannot have anything stored in them. This is a health hazard as well as a fire system violation. If there is Toilet or sink in the bathroom it is considered a bathroom. 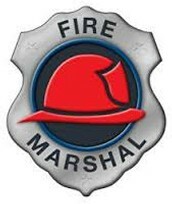 This is not negotiable with the Fire Marshall. 3. There should not be curtains on the windows. If they are there they must be tagged with a fire tag of some sort to prove they are fire proof. If treated by an individual, there must be documentation of the product used. 4. Artificial plants are prohibited in the building unless they have been fire treated by the manufacture. Thank you for ensuring these areas are safe in the event of an upcoming fire inspection! In late June, I plan to visit Spain to teach English as a second language as part of a missions project. I will be there for six weeks. I am in the last stages of raising financial support and am so excited for this opportunity to grow by teaching in another culture! One thing that I enjoy doing in my free time is photography. I am by no means a professional, but it has been a fun "side thing" that I have done over the years. This week and next week, I am taking free family photos! This is great for graduates, couples, or families who would like a few shots! You can give a donation of any amount, large or small and it will be tax-deductible towards the Spain project. 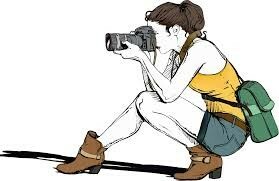 We can meet at the Horseshoe or State House gardens, or if you would like to have pictures taken somewhere else, we can talk! If you are interested in participating, contact me by email at rentschlerve@gmail.com or at (803) 421-9837 to coordinate! The Power of Meaningful Feedback! 3:30pm Interested in an intern? Join PDS for refreshments in the media center! 6:00pm Skate Night - Please encourage your students to attend! The tool is very simple. Students can use it to graphically represent a sequence of data (events, facts..,etc) along a chronological line. These timelines can be arranged by by date, time or event.